SOFT MATERIAL--Made of cotton, breathable, comfortable and lightweight. OCCASSION--Suits for daily wear and any occasion, like school, party, wedding, indoors and outdoor. Great for fall, winter and spring. 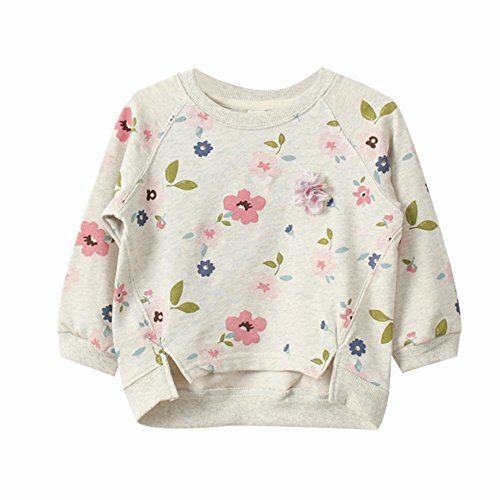 SIZE--5 size suit for 2-7 years old girl. PRODUCT--Quality check before delivery, We insist check all products to be good condition before packing.Every item is folded neatly and pack in great package to better protect your clothes. Front Length: 14.5" Back Length: 15.5" Bust: 25.2"
Front Length: 15.5" Back Length: 16.1" Bust: 26.1"
Front Length: 16.1" Back Length: 16.9" Bust: 26.8"
Front Length: 16.9" Back Length: 17.7" Bust: 28.3"
Front Length: 17.7" Back Length: 18.5" Bust: 29.9"
Clothes Care: Hand wash,Machine washable,we recommend using wash bag to protect the knit sweater when machine washing. If you have any questions about this product by LOSORN ZPY, contact us by completing and submitting the form below. If you are looking for a specif part number, please include it with your message.